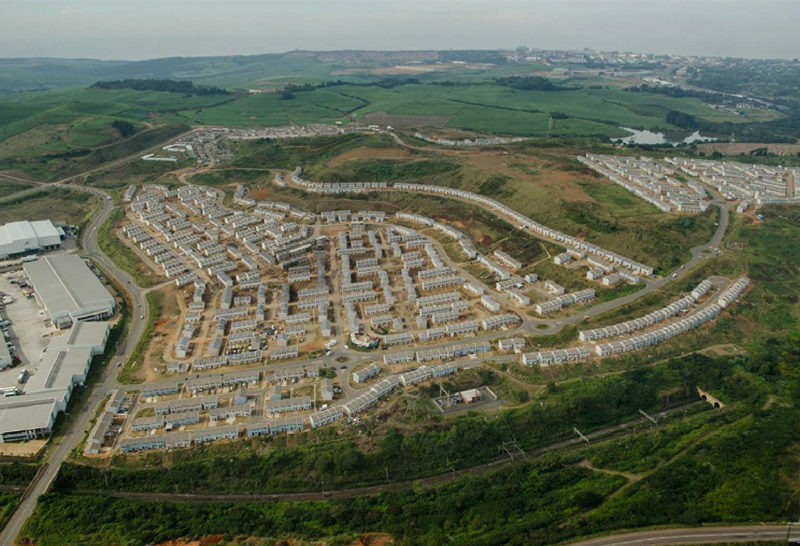 The vision of establishing the Cornubia multi-use development as an important node between King Shaka International Airport and the city of Durban has been reinforced by the announcement that a 100 000m² logistics park is to be developed at the N2 Business Estate. The business estate is conveniently located on the northern edge of the Cornubia development with easy access to the N2 highway and, once completed, the total estate could create 2,400 permanent jobs and generate R45 million per annum rates income for the city. 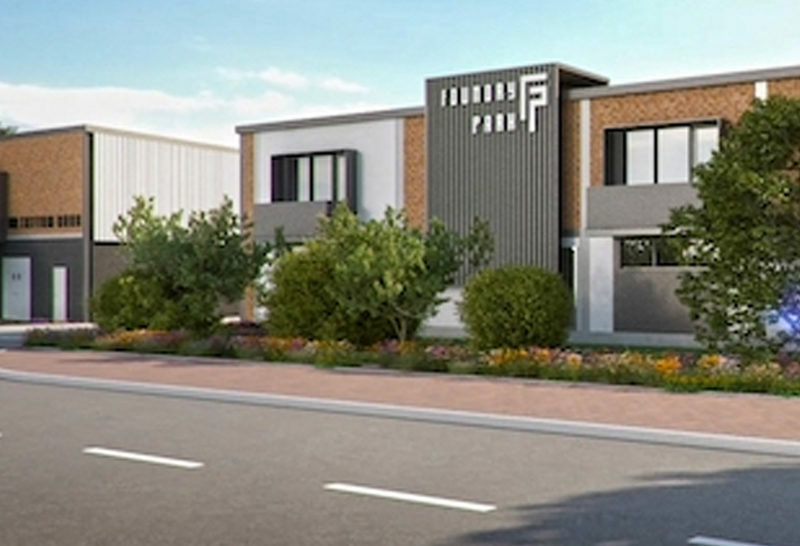 The multimillion-rand logistics and retail park is being developed by M&F Giuricich Developments and Fortress Property Fund — one of the larger South African property owning funds listed on the JSE – in a joint venture. M&F Giuricich Developments’ expertise will be combined with Fortress Property Fund’s industrial development experience to develop this site. 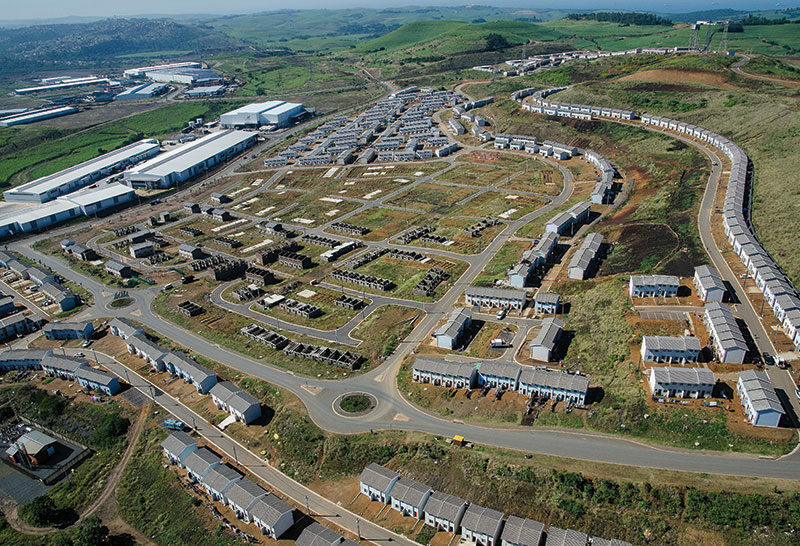 M&F Giuricich Developments have undertaken developments throughout South Africa since 1993. By combining in this joint venture, the consortium will develop a modern logistics park that will attract large national logistics tenants. Florian Giuricich, a co-founder of M&F Giuricich Developments, says the logistics warehousing facilities will be established on a site covering 200 000 m², with the remainder of the usable space dedicated to retail space. He adds that the retail component of the development would be equally attractive given the visibility from the highway. There is considerable interest from large retail destination based tenants who enjoy the prominent exposure and easy access to the site from the N2 motorway. This interest includes some international retail tenants that are entering the South African retail market. Access provided by the flyover bridge network that links to the Umhlanga town centre and the amenities being developed within Cornubia itself add to the site’s retail suitability. Construction is to commence this year, with completion scheduled for end-2018. Giuricich says the logistics park will be suitable for companies with larger logistics and distribution needs, as the warehousing facilities will start at 10 000 m² per facility. The developer would consider accommodating one major tenant with the requirement for premises larger than this minimum size. The platform design caters for this flexibility. “The easy access into Durban on the N2, as well as King Shaka Airport, make this an ideal location for companies that need to store or distribute goods. Apart from the N2, alternative routes can also be used for access to the airport,” he says. 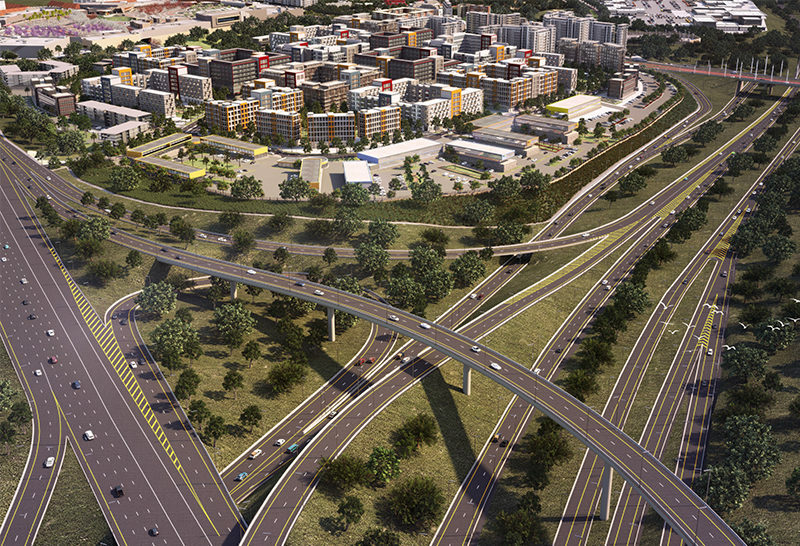 In fact, access to the N2 business Estate is in the process of being enhanced. The construction of the N2/M41 interchange is well advanced and is anticipated to be completed by August 2017, while construction of the N2 Cornubia Bridge (that links Cornubia to the Umhlanga Ridge Town Centre) is progressing well and is anticipated to be completed by June 2017. In addition to this, construction of the Flanders Drive interchange is also well advanced and is anticipated to be completed by May/June 2017. Other associated link roads (that provide additional access to the development) are about to commence and will be completed by February 2018. 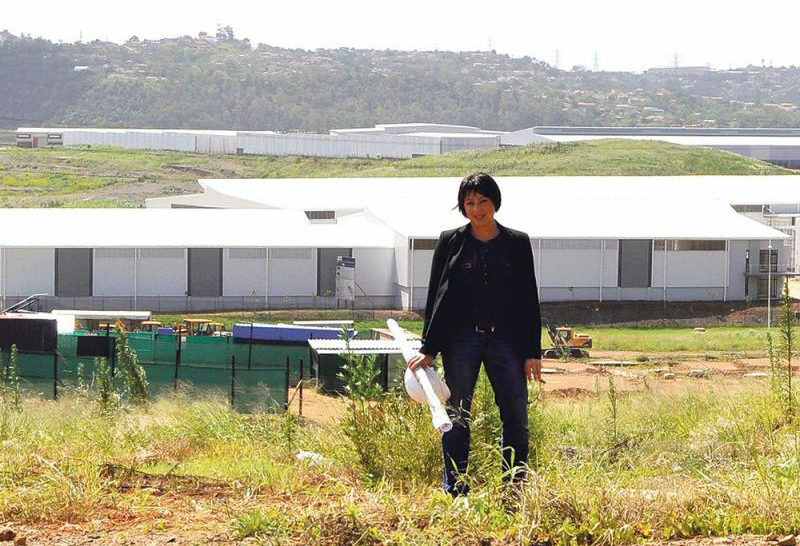 The logistics and retail park adds to the reputation of Cornubia as a rapidly­ growing development that offers residential, commercial and industrial alternatives that cater for the natural expansion of Durban and Umhlanga. Tongaat Hulett is an agriculture and agri­processing business, focusing on the complementary feedstocks of sugarcane and maize. Its on-going activities in agriculture have resulted in the company having a substantial land portfolio within the primary growth corridors of KwaZulu-Natal with strong policy support for conversion at the appropriate time. A core element of Tongaat Hulett’s strategic vision is to maximise the value generated from the conversion of land in the portfolio by responding to key demand drivers and identifying its optimal end use for all stakeholders. Through its sugar and starch operations, Tongaat Hulett produces a range of refined carbohydrate products from sugarcane and maize, with a number of products being interchangeable. Global sweetener markets continue to be dynamic and the business seeks to optimise its various market positions, leveraging off its current base to maximise revenue from these products. The business’s sugar operations are well placed to benefit from evolving dynamics of renewable electricity and ethanol in South Africa, and the Southern African Development Community (SADC) region. Tongaat Hulett continues to focus on value creation for all stakeholders through an all-inclusive approach to growth and development and regards its constructive interfaces with governments and society to be of significant importance.